The narrow alleyway of Pontocho is one of the most atmospheric and best-preserved traditional areas of Kyoto. One of five geisha quarters in Kyoto, it lies between the Kamogawa River and leafy Kiyamachi Street and is a popular spot in which to imbibe the scenery and mood of the old capital. In March 2018 a new luxury boutique hotel opened in this prime location: the Villa Pontocho. Villa Pontocho is located in one of Pontocho’s traditional townhouses. Villa Pontocho has exactly two guest rooms: one on the ground floor and one on the floor above. Both rooms have wide windows overlooking the Kamogawa River, but the ground floor room also has a seasonal ‘yuka’ balcony between the months of May and September. Every year the restaurants of Pontocho install these summer balconies over the river for the enjoyment of their diners. However, guests who take the ground floor room in Villa Pontocho during the summer can have their very own private yuka balcony and enjoy it at any time of day. The rooms are decorated with delicate Kyoto textiles, silk glass, cypress wood and bamboo furnishings. The second floor room also has a tatami matted area. Beds in both rooms come with soft Simmons mattresses to ensure a wonderful night’s sleep. Each room comes supplied with “handy” brand smart phones that can be used for free local and international calls as well free internet access. Both rooms have a refrigerator stocked with Ippodo tea, Kyoto nihonshu (rice wine) and Kyoto craft beers. Both rooms have Nespresso coffee machines as well. 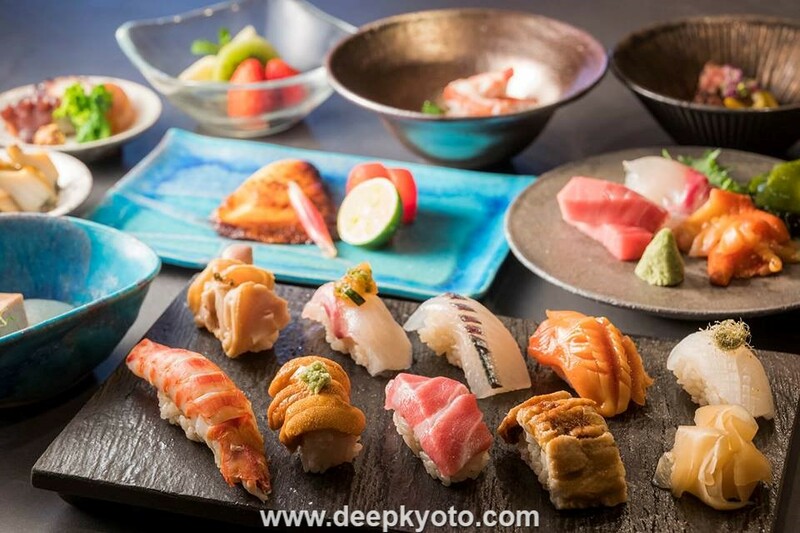 In the basement of Villa Pontochi is an Edo-style sushi restaurant with just 7 seats called Nishiki Sushi Shin. This is the second branch of a restaurant that opened its main branch in Nishiki Food Market last August. Nishiki Sushi Shin serves carefully selected seafood with high quality rice from a Gion shop of long-standing, Kome Ryotei Hachidaime Gihey. This restaurant also uses akazu, a kind of red vinegar made from fermented sake lees which is quite unusual these days. Akazu gives the sushi rice a rich, strong, but mellow flavor. This hideaway restaurant opened its doors on February 22nd 2018. From 22.00 the restaurant closes and is replaced by Bar Chidori. 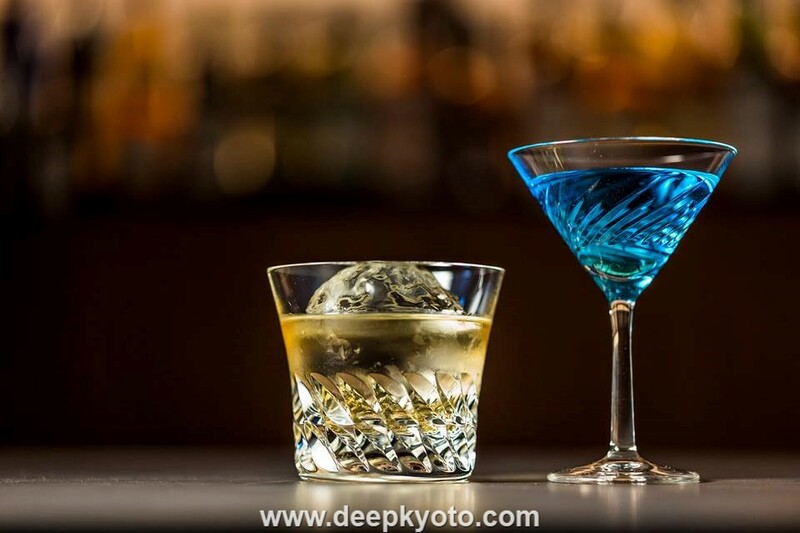 Make yourself cozy in this moody space and enjoy the night in Kyoto with lip-smacking specialty cocktails. KYOTO MIDTOWN COLLECTIONS 先斗町別邸「VILLA PONTOCHO」opened in March 2018. The projected price for one night’s stay in this luxury spot starts at 80,000 yen per room, but prices may vary (up or down) according to the season. 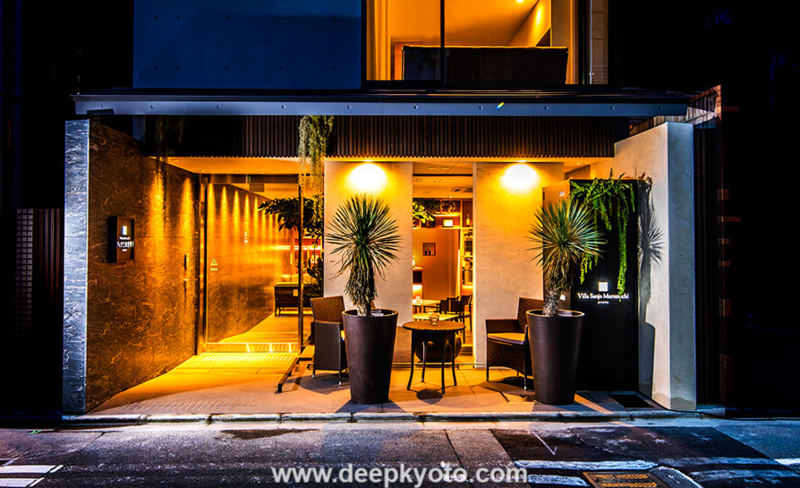 The convenience of the location does somewhat justify the luxury rates, as Pontocho is located in Kyoto’s town center and has easy access to two railway lines: the Hankyu Railway Line at Kawaramachi Station and the Keihan Main Line from Gion-Shijo Station. Here is a map of the location. Make a booking now at Villa Pontocho. Villa Aneyakoji Kyoto opened in July 2013 and has just 7 rooms. Guests can choose between Aneyakoji Premium rooms which are 32㎡ and come with a terrace (14.5㎡) or Aneyakoji Superior rooms which are 25~27㎡. 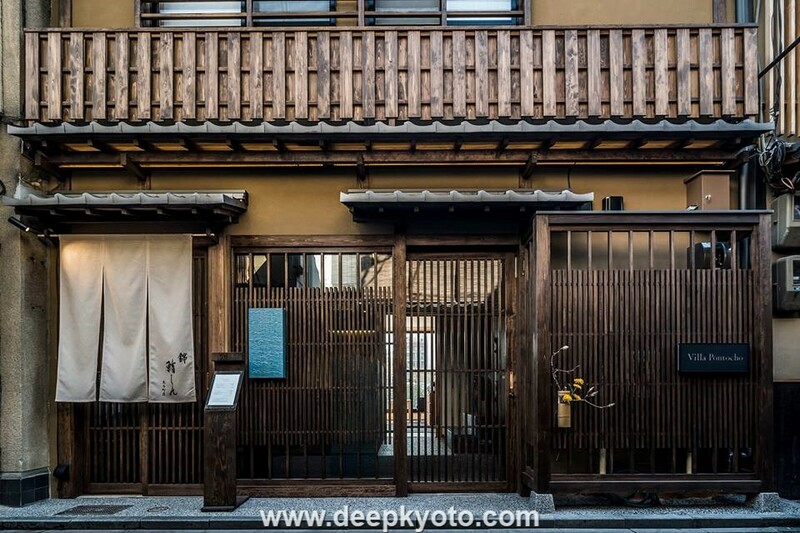 The hotel is located in a traditional machiya townhouse and is convenient for Nijo Castle and Kyoto Manga Museum. Nijojo-Mae Subway Station is just 7 minutes walk from the hotel. Here is a map of the location. Visit the Villa Aneyakoji booking page for further details. Villa Sanjo Muromachi opened in July 2016 July and has 12 rooms. Guests can choose between one Maisonette Twin room (65㎡), six Deluxe Twin Rooms (42㎡) and five Superior Double Rooms (25㎡). This hotel is located 5 minutes from Karasuma Oike Subway Station. Local attractions include Nijo Castle, Nishiki Food Market and Kyoto Manga Museum. Here is a map of the location. Visit the Villa Sanjo Muromachi booking page for further details. For further details, room rates, and reservations at Villa Pontocho visit the hotel booking page.